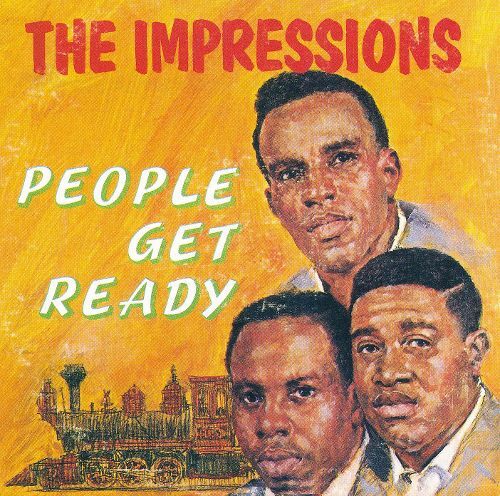 The Impressions are an award-winning group from Chattanooga, Tennessee. Equality will arise if everyone can get on board, says Curtis Mayfield in this 1965 hit. The song reached number 3 on the R&B charts and number 14 on the Pop charts. It would go on to be covered by numerous artists, including Bob Dylan and Bob Marley. Of the song, Mayfield said the following: "That was taken from my church or from the upbringing of messages from the church. Like there's no hiding place and get on board, and images of that sort. I must have been in a very deep mood of that type of religious inspiration when I wrote that song."